CUMMINGTON — This Hilltown has been home to some notable writers through the years, such as William Cullen Bryant and Richard Wilbur. 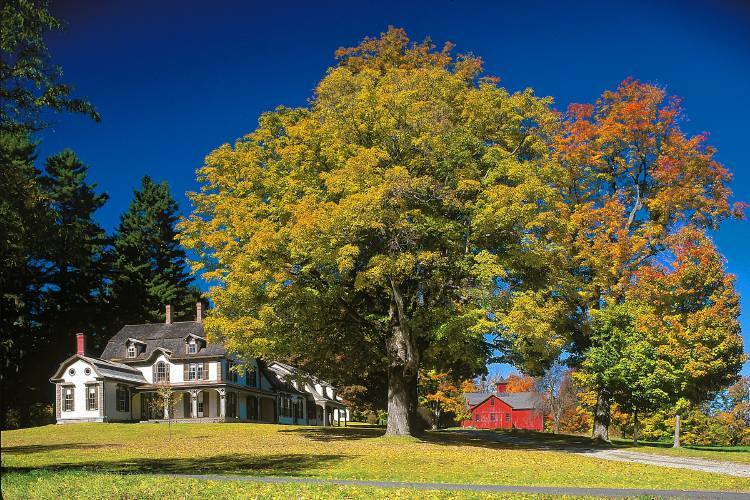 The town hosted another one Saturday at the William Cullen Bryant Homestead. Longtime New Yorker staff writer Elizabeth Kolbert delivered the keynote address at a symposium, “The Power of Poetry & The Press,” examining how literature can inspire environmental change, including conservation. Kolbert, a two-time recipient of the National Magazine Award, frequently writes about the environment and climate change, and her most recent book, “The Sixth Extinction: An Unnatural History,” won the 2015 Pulitzer Prize for general nonfiction. 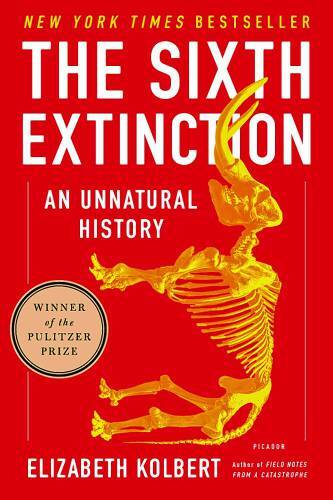 Our planet has seen five mass extinctions, and now the sixth is brewing, Kolbert says. Though Kolbert writes for The New Yorker, she is not one — she calls western Massachusetts home. She and her husband, John Kleiner, have been living in Williamstown since the early 1990s. He teaches English at Williams College. The Gazette spoke with Kolbert about climate change, conservation, and a disease killing off a creature in our area. The event is about how poetry and journalism can give conservation a voice and create change. What are some examples? Kolbert: At every moment along the way, journalism and pieces of poetry have been really important in the American conservation movement. That starts with Thoreau and Emerson and goes through John Muir’s writing — his writing was hugely influential. And then you get into the writing of Aldo Leopold and Rachel Carson, Edward Abbey, Bill McKibben and Annie Dillard. I think all of those people, have been really influential in firing the American environmental movement/conservation movement — at different times, it’s had different names and slightly different aims. Have you had a time when you felt like your environmental writing made a change? Kolbert: I really wish I could point it out! I guess my best example — but unfortunately it’s had mixed results over the years — is when Barack Obama, sometime in the mid-2000s, spoke at a dinner sponsored by the League of Conservation Voters. He mentioned having read a series I wrote on climate change. And I like to take a teeny little bit of credit for helping him to understand how crucial this issue is. Now, where that plays in the great rolling out of history, I don’t know. 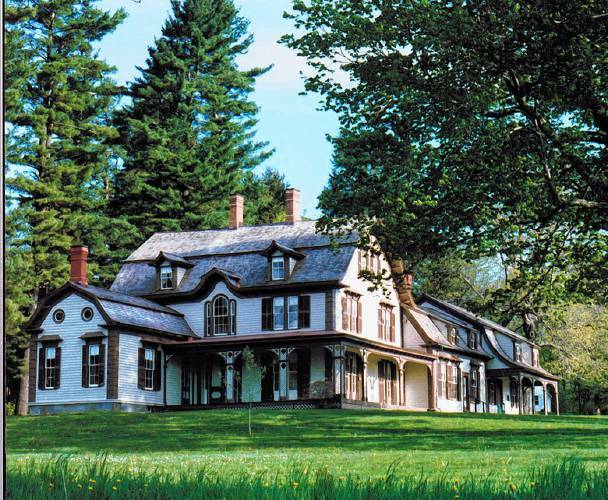 You’re speaking at the William Cullen Bryant Homestead. Are you familiar with his conservation writing? Kolbert: Well, this has got me to read about him, but I don’t want to claim to be any expert whatsoever in his conservation essays. I’m reading a biography of him right now. It has his wonderful bearded face on the cover. What climate and environment issues do you think people in western Massachusetts should pay attention to? Kolbert: There are tons. Anyone who’s lived here for any stretch of time absolutely sees the climate change. This is a skiing part of the world where you have natural snow, and these slopes that were open most of the winter with natural snow — that’s just not happening anymore. We’re clearly seeing very heavy rainfalls of a sort that we only very rarely see. That’s probably causing erosion. We should be having a frost, historically probably right around now, even a bit earlier, but I don’t know when the first frost will come. What made you want to write about extinction in your last book? Kolbert: I realized that climate change was part of an even bigger story, the story of how people are really changing the planet in a permanent way. That kind of came together as this idea to write about the sixth extinction … I think if there’s a unifying theme for this, it’s that people are changing the world very fast. Have you seen your research intersect with your surroundings? Kolbert: Yeah, tragically and amazingly. For example, there’s a huge bat die-off. At the center of this is what turns out to be a disease killing bats, and recorded introduced pathogens began really in upstate New York and spread very quickly in western Massachusetts. So I’ve definitely watched that. What do you see as the biggest threat to the environment now? Kolbert: They are hard to rank. Climate change I think is a really big threat to humanity. It may not yet be the biggest threat to biodiversity. Probably right now habitat loss is the biggest threat to other species, but climate change may very well catch up.